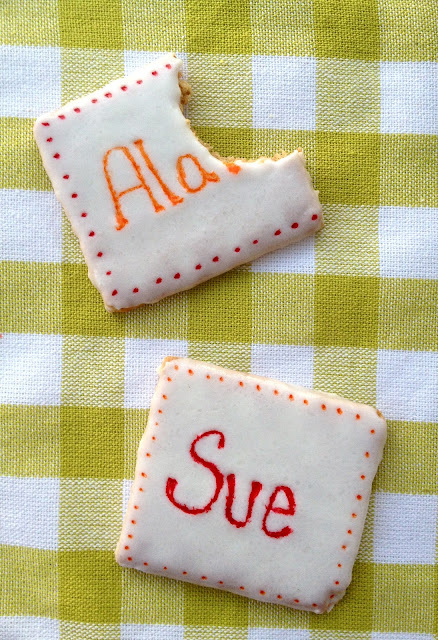 DIY Edible Place Cards: So-Easy Personalized "Cookies!" / Hey, EEP! 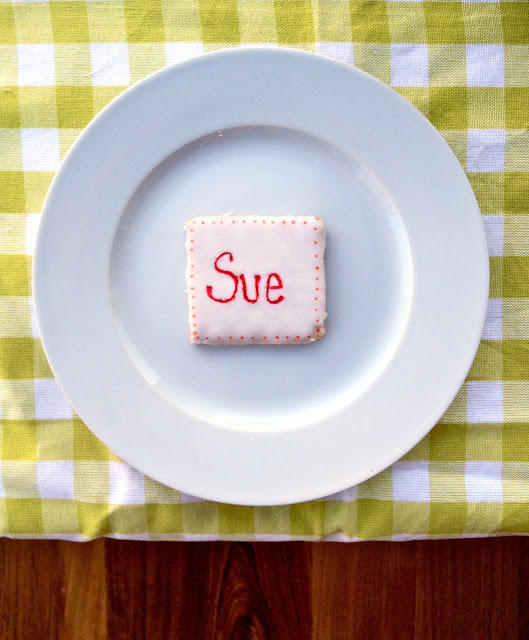 DIY Edible Place Cards: So-Easy Personalized "Cookies!" Hi, hi, hi! I'm running to the airport to meet up with boyfriend in Michigan—we're cookin' Thanksgiving dinner for his fam!—so this will have to be a shorty! Edible place cards: There are so many different things you can do but these edible "cookies" are one of the easiest! Plus, who doesn't love dessert before dinner!? 1. 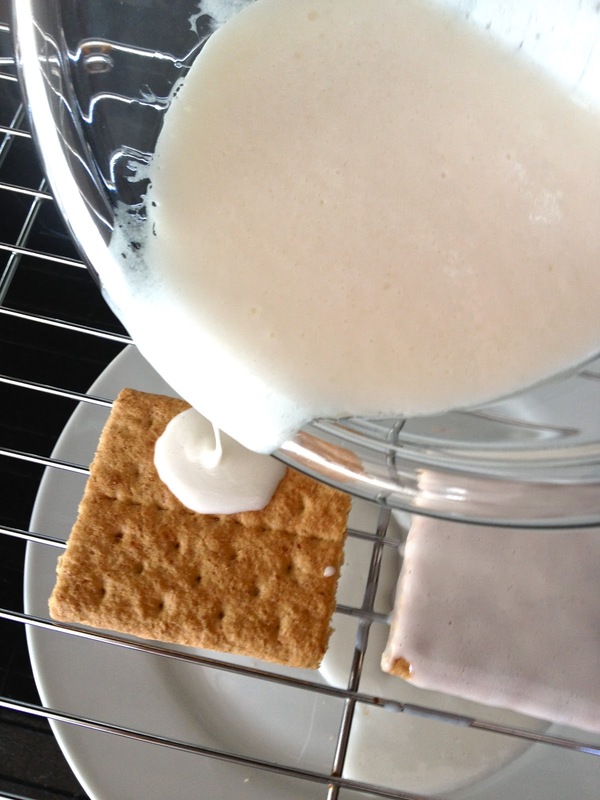 Break the graham crackers into square and set on a wire rack over a place or cookie sheet. 2. Transfer the frosting to a microwave-safe bowl and microwave on high until melted and runny, about 30 seconds. Pour the frosting over the graham crackers, letting any excess drip down onto the plate. You can do a few layers if you'd like! 3. Transfer the graham crackers to the fridge and chill at least 2 hours. Decorate with the pens. QUESTION for you: Do you have assigned seats at Thanksgiving? Who goes where? What do you use for place cards (if anything)? !